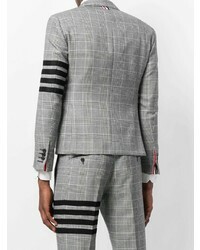 For a nothing less than incredibly stylish look, go for a Thom Browne prince of wales check heavy wool sport coat from farfetch.com and grey check wool dress pants. 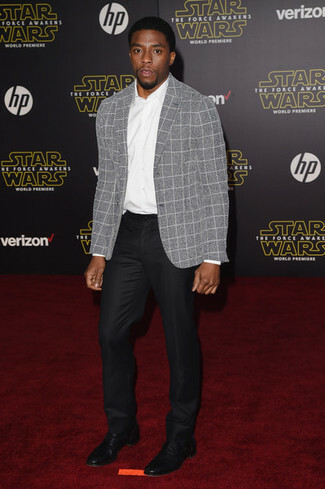 Make black leather loafers your footwear choice to make the getup current. 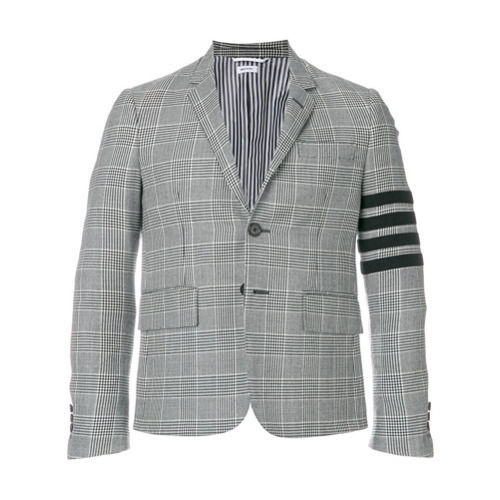 A Thom Browne prince of wales check heavy wool sport coat from farfetch.com and a white dress shirt is a greatcombo for you to try. 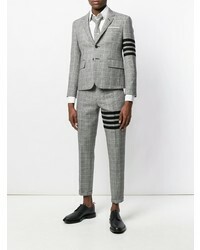 Dress in a Thom Browne prince of wales check heavy wool sport coat and charcoal wool dress pants like a true gent. When it comes to shoes, this ensemble is finished off wonderfully with dark brown suede chelsea boots. 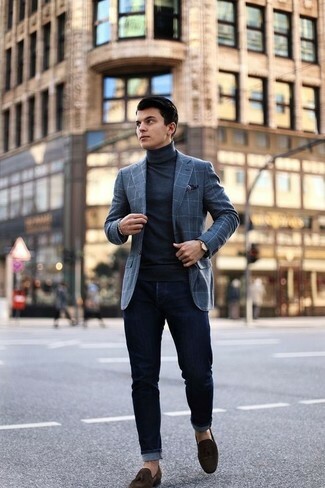 If you're scouting for a casual yet dapper ensemble, reach for a Thom Browne grey check wool blazer and black skinny jeans. These garments are super comfortable and will look great together. Grab a pair of dark brown suede tassel loafers to show your sartorial savvy. 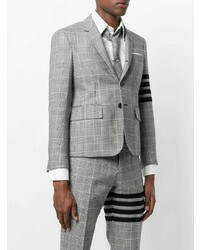 Try teaming a Thom Browne prince of wales check heavy wool sport coat from farfetch.com with black dress pants for a sharp, fashionable look. Black leather derby shoes will add a more relaxed feel to your ensemble. 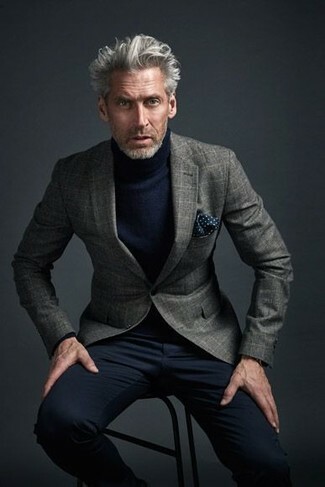 If you're in search of a casual yet stylish outfit, choose a Thom Browne prince of wales check heavy wool sport coat from farfetch.com and navy corduroy jeans. Both items are totally comfortable and will look great together. 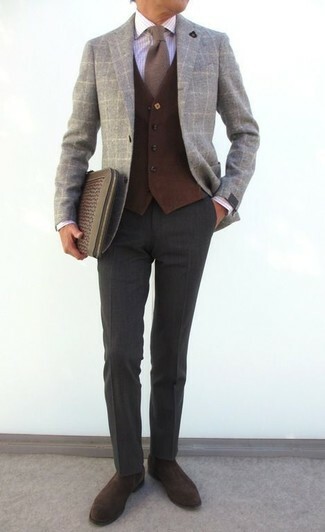 For a casually elegant getup, consider wearing a Thom Browne prince of wales check heavy wool sport coat from farfetch.com and black chinos — these two pieces fit really smart together. 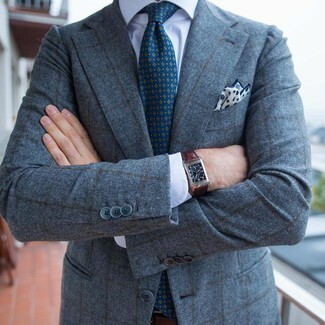 Try teaming a grey check wool blazer with charcoal wool dress pants like a true gent. 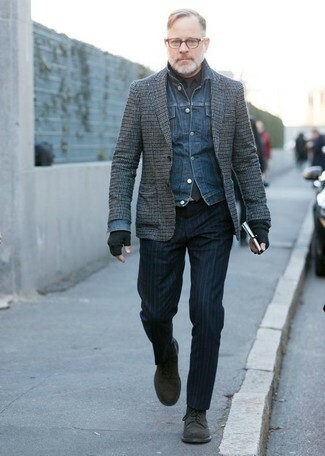 When it comes to shoes, this outfit is round off wonderfully with dark brown leather double monks. Rock a Thom Browne prince of wales check heavy wool sport coat from farfetch.com with navy vertical striped dress pants for a sharp classy look. When it comes to footwear, this outfit pairs nicely with black suede derby shoes.